It has become readily apparent over the years that no other American animated movie studio is willing to challenge Disney when it comes to making films with complex emotions. Notwithstanding the occasional one-off movie, the other studios are content to stay within the fun/adventure mode, rarely approaching anything that resembles anger or sadness. 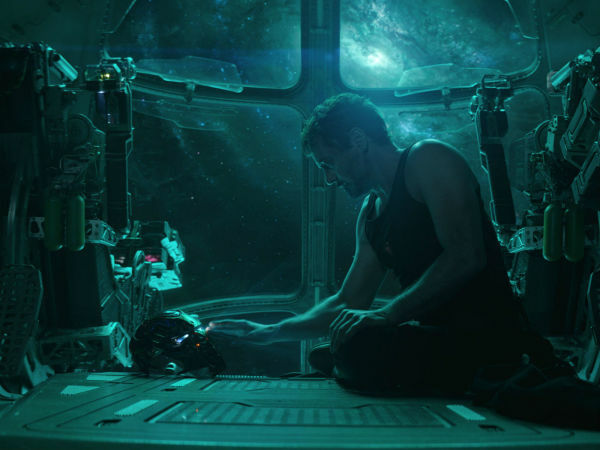 Many films have succeeded doing just that, but the problem comes when a film focuses purely on surface storytelling, trying to force fun without actually engaging with its characters. That’s the biggest failing of Sing, a movie that’s designed to make you feel good through song, yet can’t do it because it never makes you care about its characters. 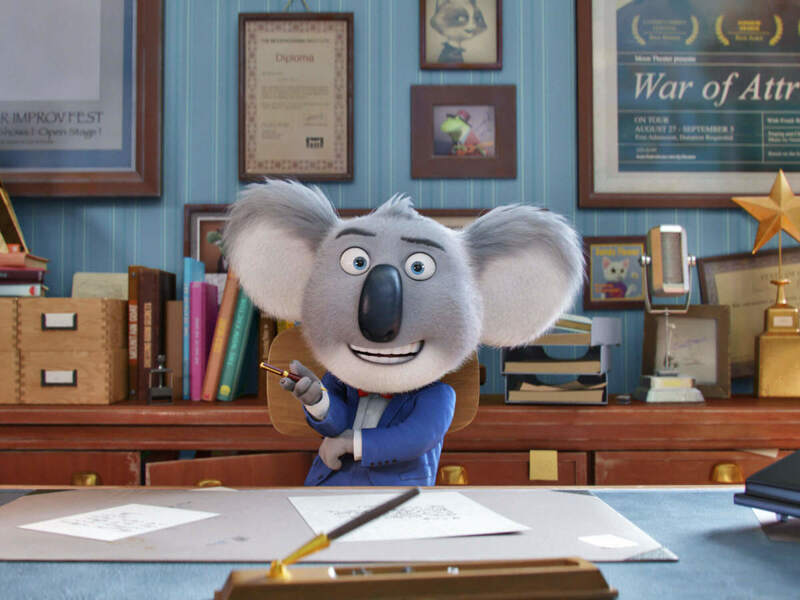 Those characters include Buster Moon (Matthew McConaughey), a koala who comes up with the idea for a singing competition to save his failing historic theater. 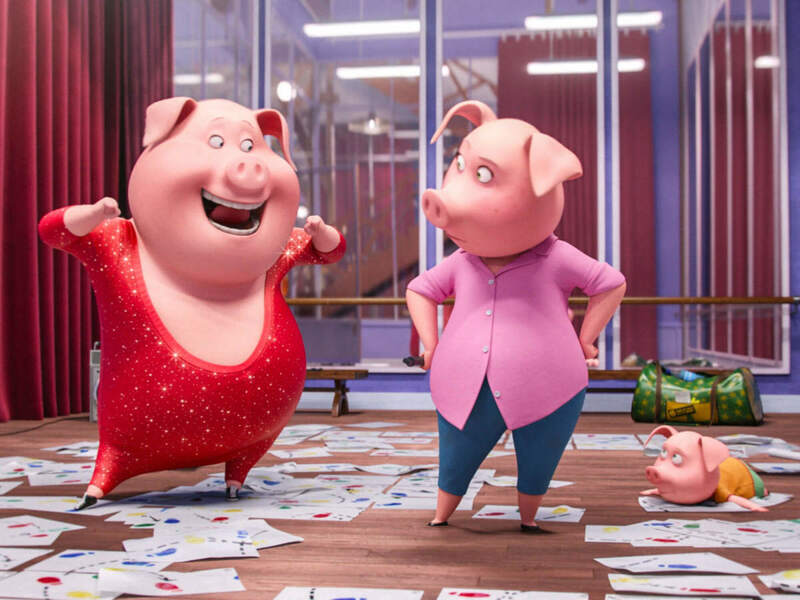 Among the ones attracted by the contest are pig Rosita (Reese Witherspoon), mouse Mike (Seth MacFarlane), porcupine Ash (Scarlett Johansson), elephant Meena (Tori Kelly), and gorilla Johnny (Taron Egerton), among others. And that’s basically all there is to the film. Writer/director Garth Jennings gives some insight into the personal lives of each main character, but he ping-pongs between each of them so much that nothing ever really sticks. It’s a manic kind of storytelling where they seem to be telling you a lot, but you actually learn nothing at all. The songs are obviously what the movie hinges on, but here too the movie falls down on the job. They're a mishmash of genres and time periods, assigned to characters with little thought as to why they should be singing that particular song. 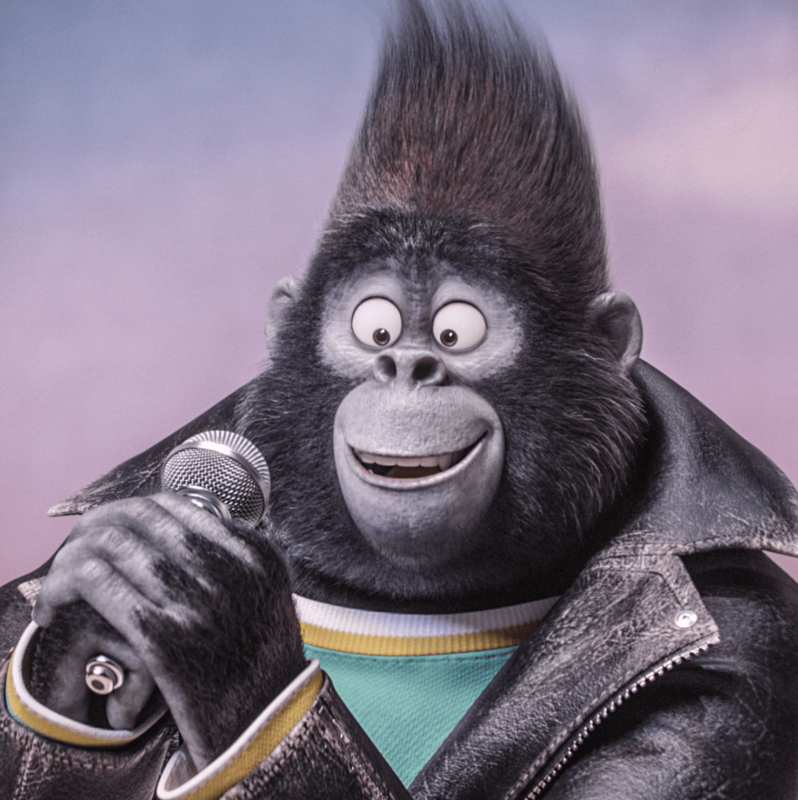 Unlike the recent Trolls, which integrated pop music into to its story to a fantastic degree, Sing throws out songs as throwaway gags, just hoping to get some kind of reaction. 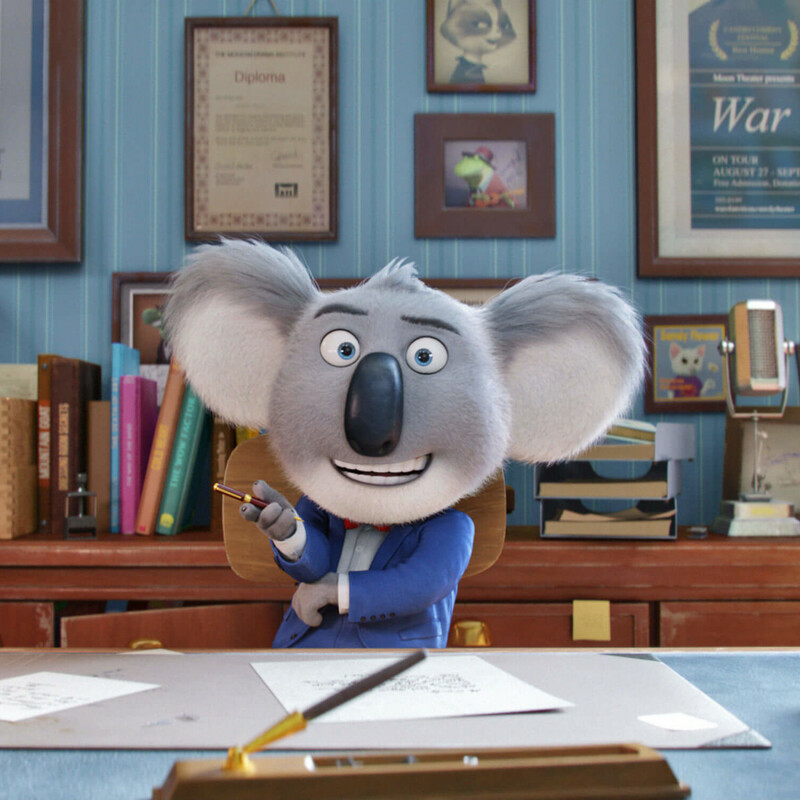 Its use of a variety of animal characters also makes it pale in comparison to another recent animated movie, Zootopia. In that film, each species, despite walking and talking like a human, had distinct animal characteristics that made it more fun and interesting. 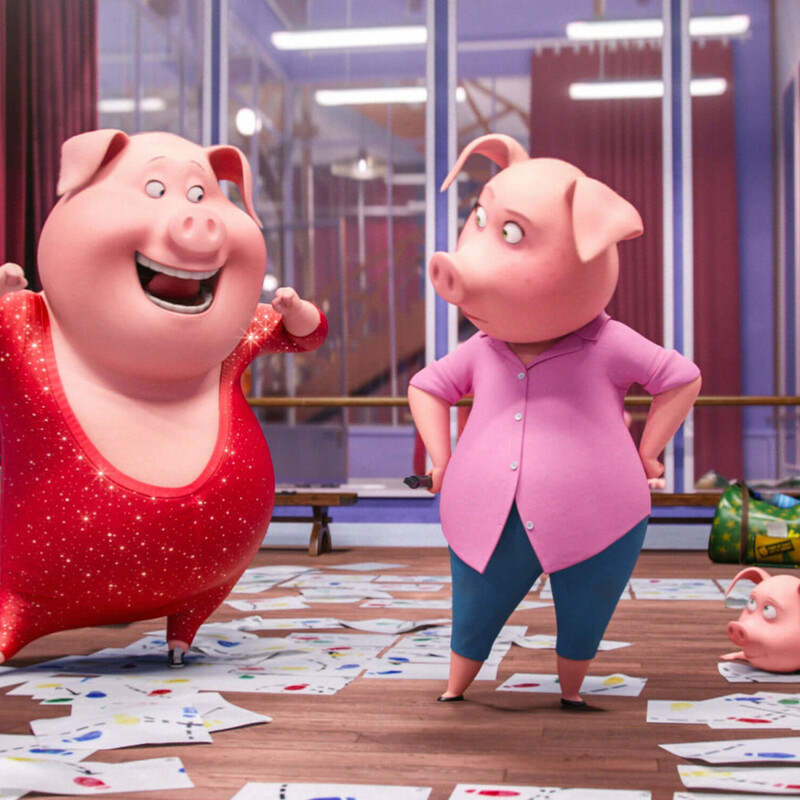 In Sing, having the characters be animals makes no logical sense in the context of the film. 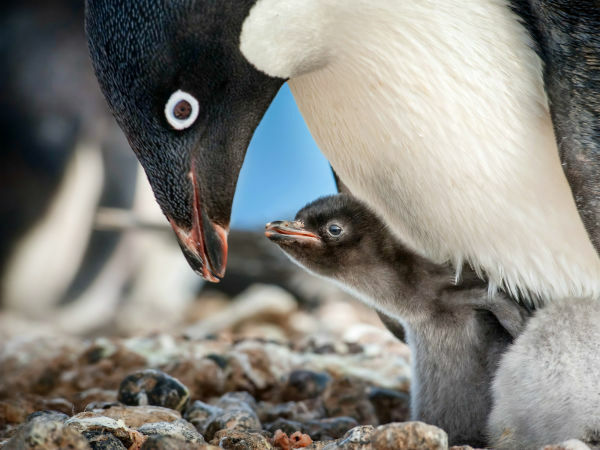 Aside from making them extra cute or scary as the case may be, they rarely act like animals; having them be humans would have worked equally as well. The voice actors work well for the most part, although, as usual, the use of big-name actors adds little of substance to the film. But having actors who can actually sing or, like Kelly, be an actual singer, at least serves to make their performances enjoyable. If only the rest of the film lived up to those abilities. 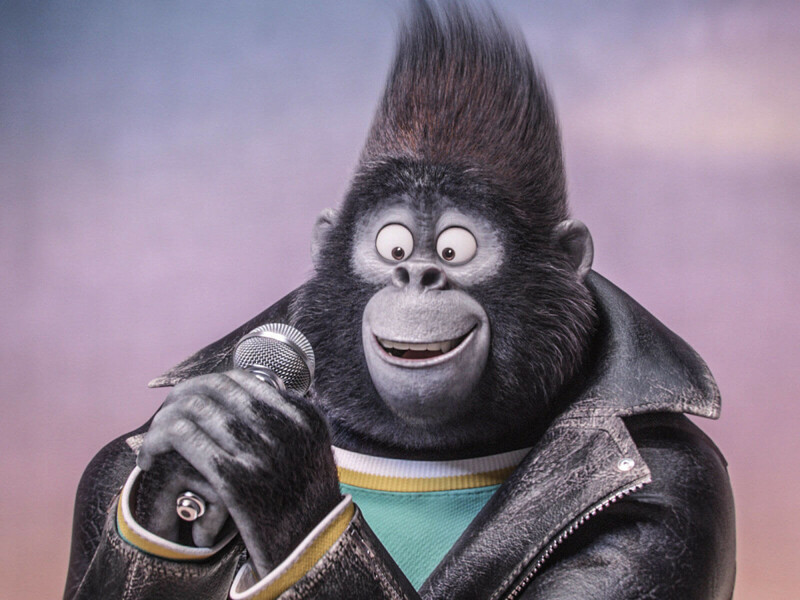 It’s obvious that the makers of Sing viewed the film as mindless entertainment for families during the Christmas holidays. Audiences deserve much more than that; don’t waste your time with this forgettable film.